YANGON — Frontier senior reporter Ko Mratt Kyaw Thu has won the Kate Webb Prize for Asian Journalists, it was announced Monday. The first Myanmar recipient of the prestigious award, Mratt Kyaw Thu was recognised by the selection committee for his coverage of conflict and communal strife across the country last year. The seasoned reporter was in Maungdaw in early October 2016 to chronicle attacks on police and military posts by the Arakan Rohingya Salvation Army, which unleashed a massive security crackdown and sent around 90,000 refugees streaming across the border into Bangladesh. Elsewhere, he documented clashes in northern Shan State that prompted people to flee their homes in dozens of villages last year, in a conflict that threatened to undermine the government’s fragile peace process. “It was a really great moment for me when AFP called to say that I’ve won this award. I've never felt this kind of moment in my life, I couldn’t believe it. It will give me the strength and encouragement to continue with my journalism career and move forward,” Mratt Kyaw Thu said on Monday. He added that his receipt of the award was bittersweet, following last week’s arrest of Reuters journalists Ko Wa Lone and Ko Kyaw Soe Oo and several high profile arrests of reporters and editors over the last year. 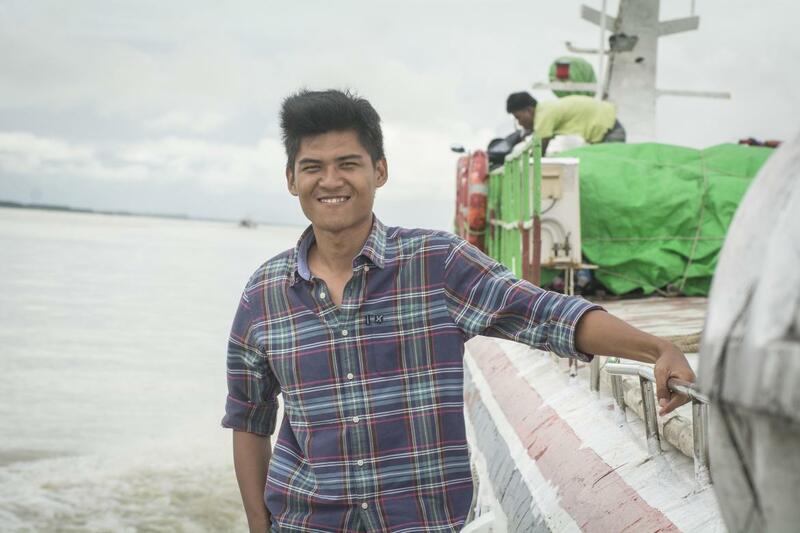 Beginning his journalism career at the Unity Weekly journal in 2010, Mratt Kyaw Thu worked at Mizzima and the Myanmar Times before joining Frontier for its inaugural issue in July 2015. Established in 2008, the Kate Webb Prize is awarded annually by the international newswire Agence France-Presseto Asian journalists “doing difficult and dangerous work” in the region. The award is named for Kate Webb, a veteran Australian journalist who reported on the Vietnam War and was based in Southeast Asia for decades.